Please provide a caption for this picture. Life on the Road: I get bottom bunk. Super-bunks: The best place to be is in the middle. Sleep Truck: The ticket to a better night's sleep. 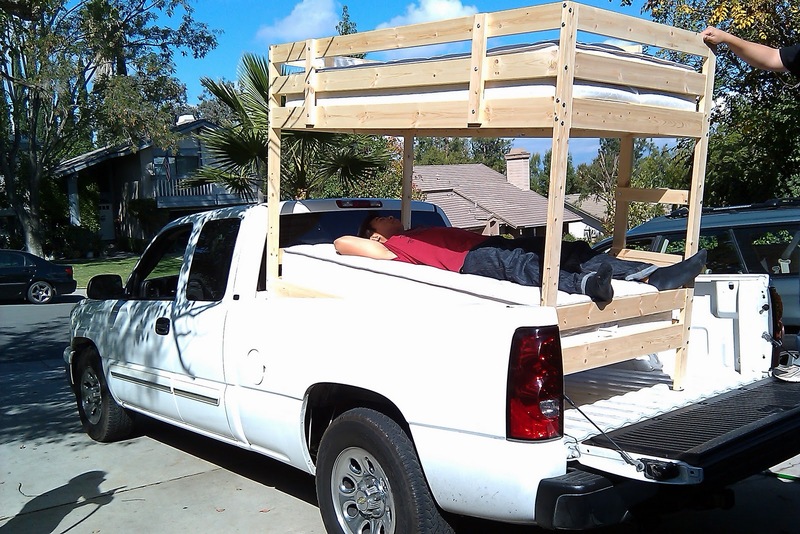 Sleep Truck: The ticket to a better night's sleep (maybe). Insomnia: When counting sheep in your sleep is not enough. Pick-up trucks: The ultimate ministry vehicle. Useful for transporting equipment, furniture, and people.